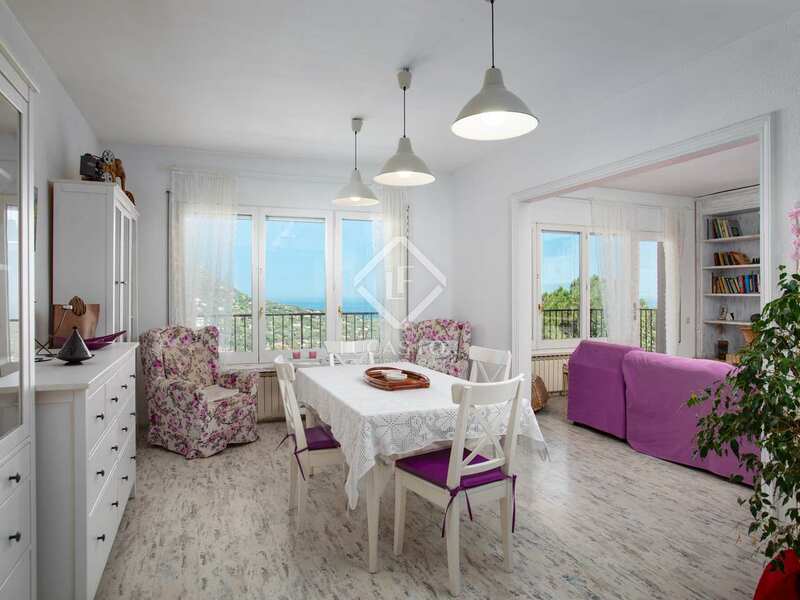 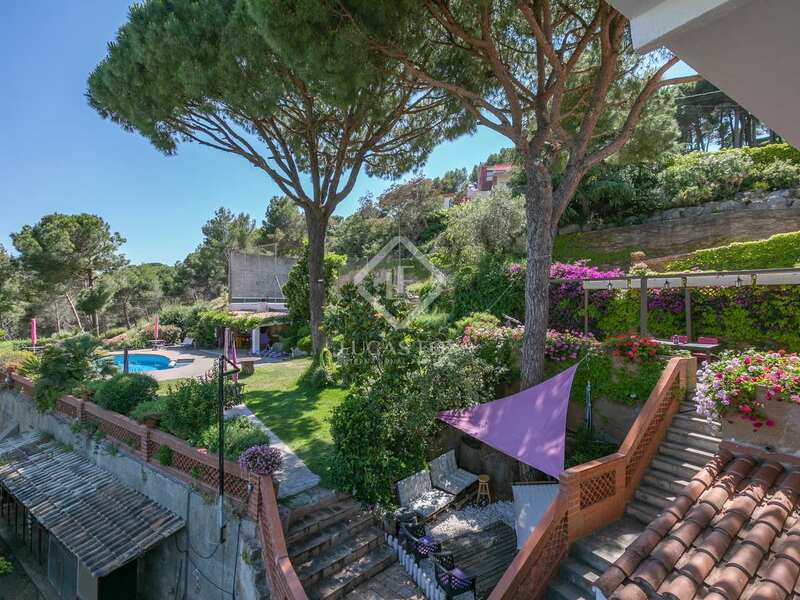 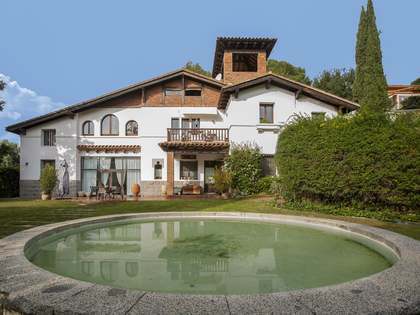 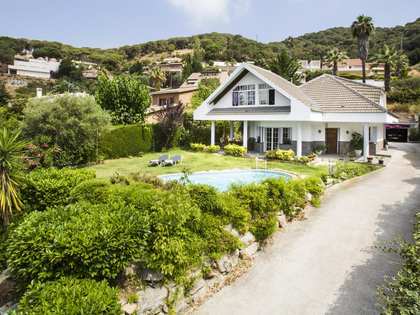 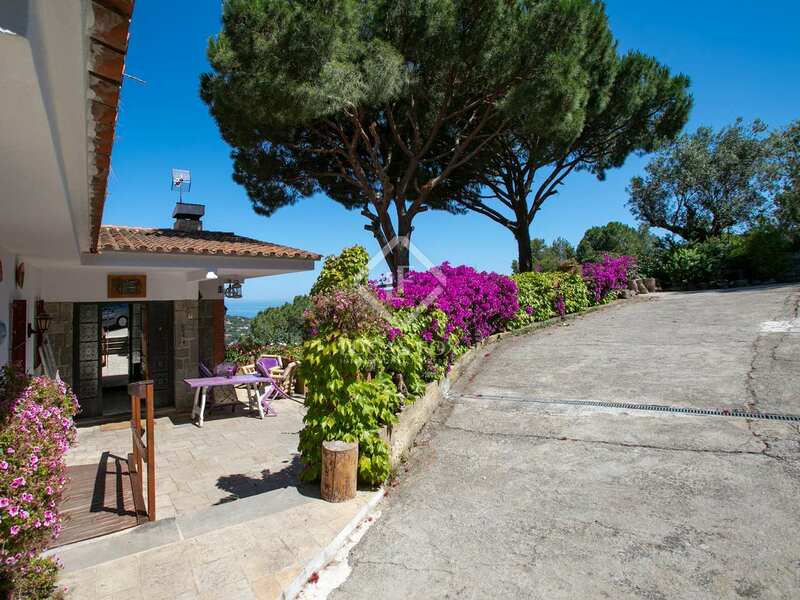 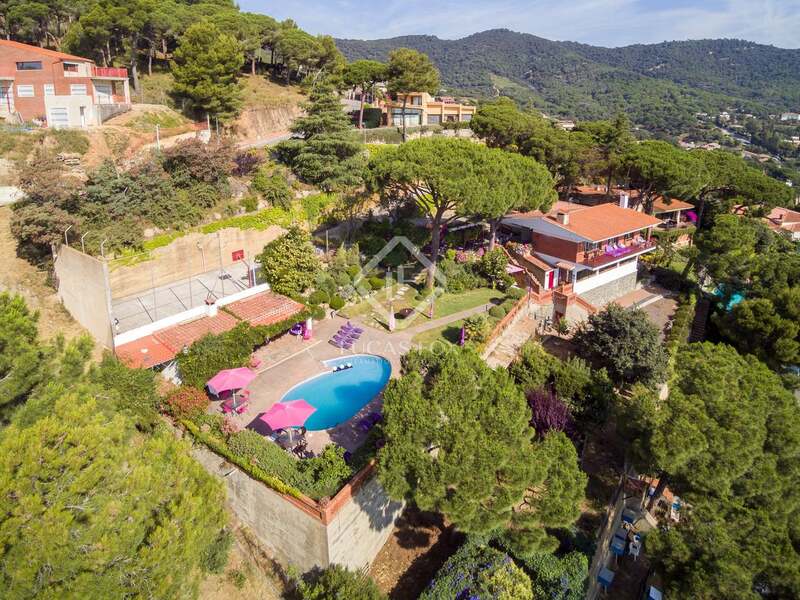 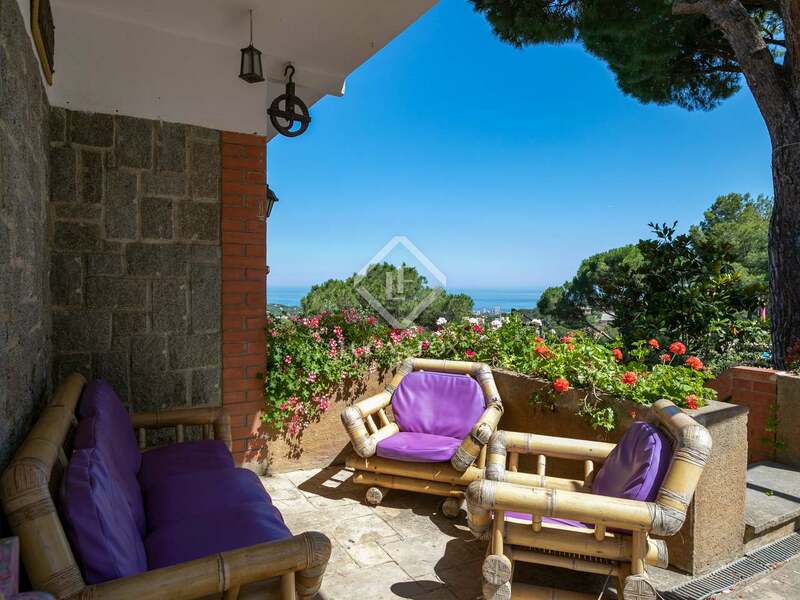 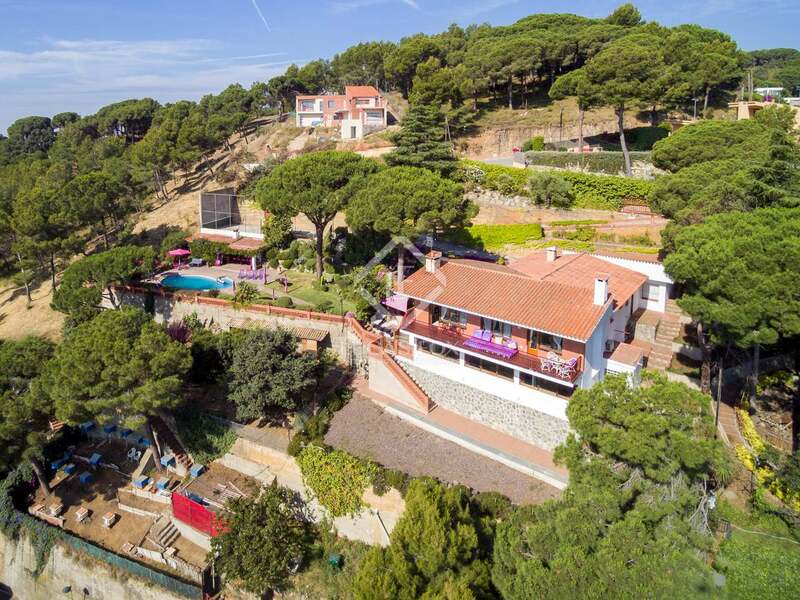 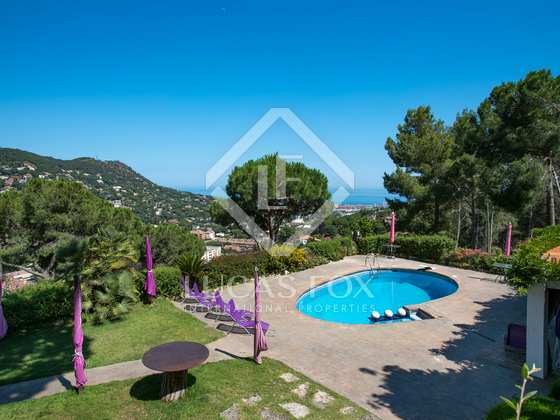 With a built area of 500 m² and a plot of 2,500 m² this wonderful family home offers plenty of space, privacy and fabulous open views of the sea and the surrounding hills. 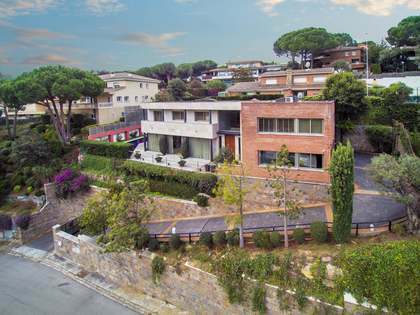 It is located just 5 minutes from the centre of Cabrils, 10 from the beach and train station and is a mere 30-minute drive from the bustling centre of Barcelona City. 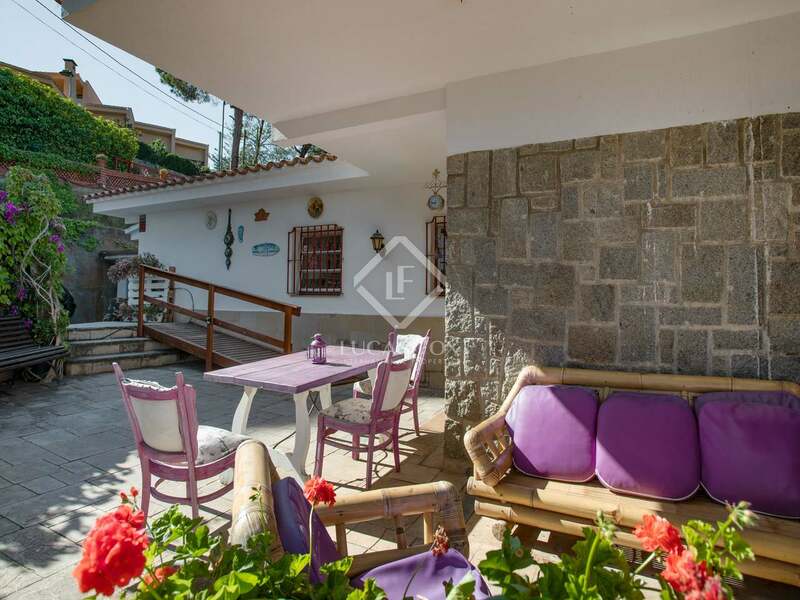 One of the major advantages of this property is that it already has a tourist licence and the possibility to divide the plot; which makes this an excellent investment opportunity as well as being an ideal family residence or holiday home. 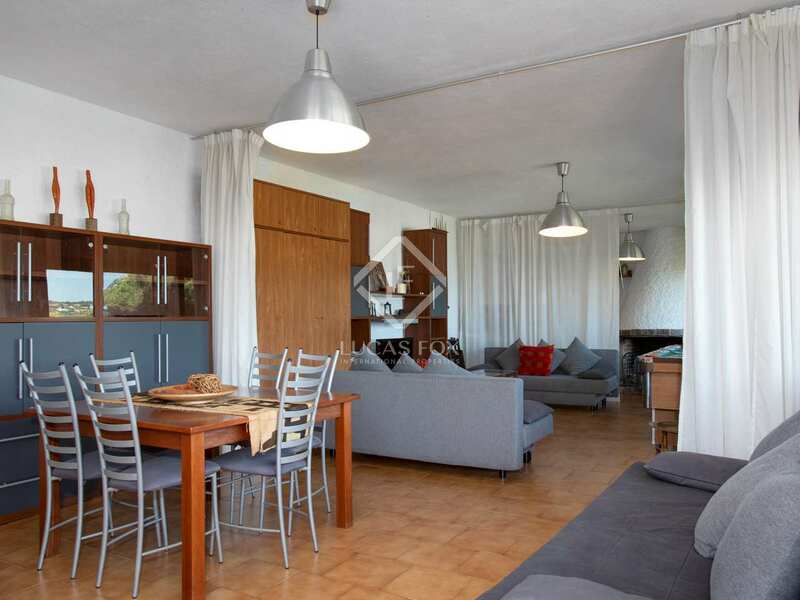 The majority of the property is on the main floor, including all of the bedrooms, the living room – dining room and the kitchen. 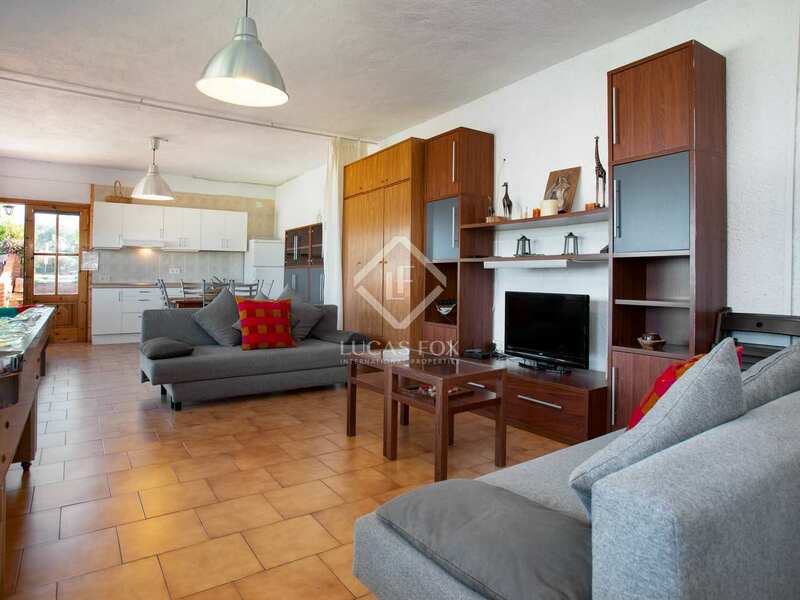 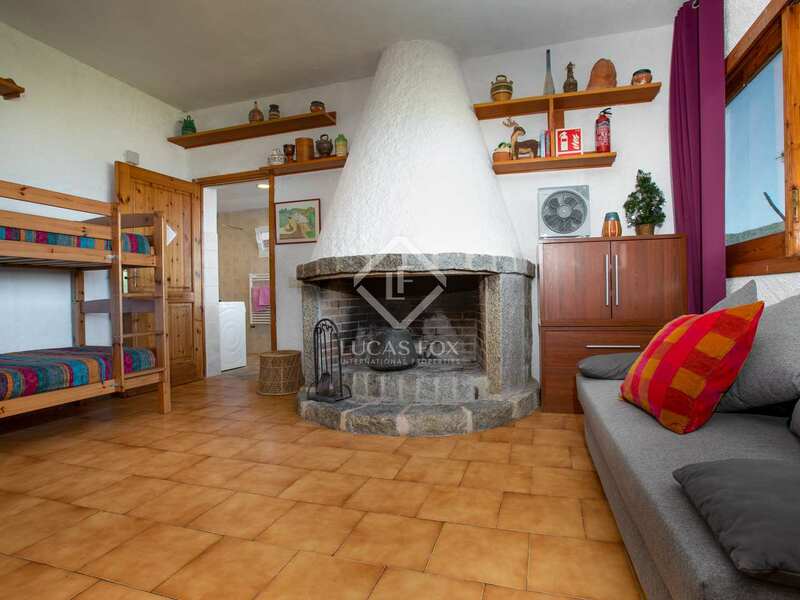 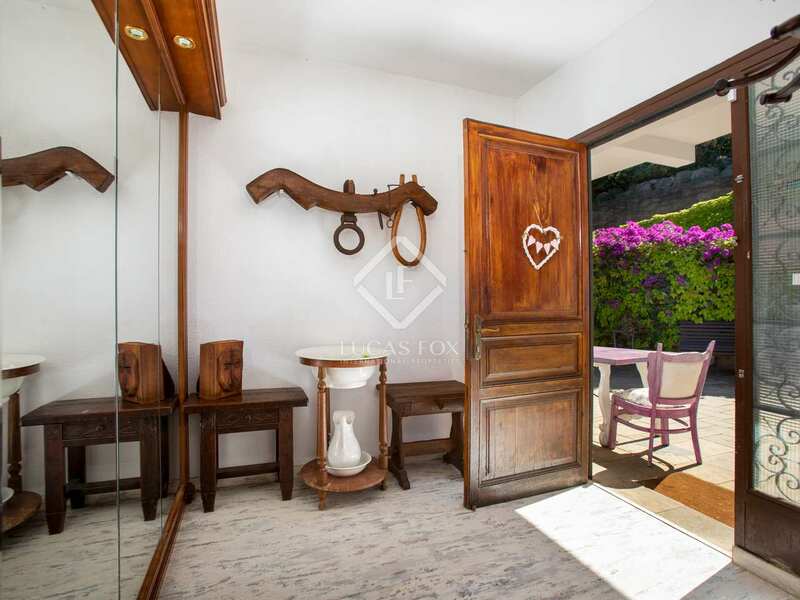 The lower floor is completely independent with a loft type apartment with its own bathroom and kitchen as well as a fireplace and access to the garden. 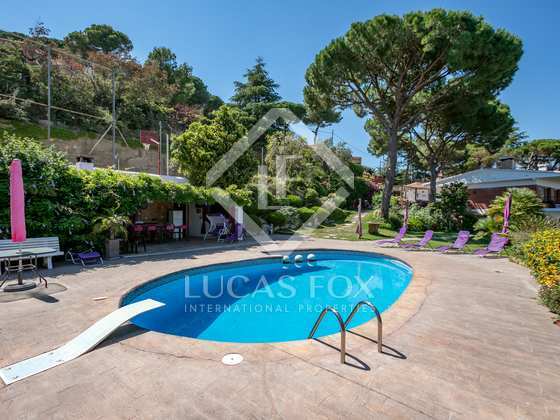 Outside we find a wonderful garden with many little nooks for relaxation, shaded dining, sunbathing and a wonderful swimming pool with breathtaking natural views. 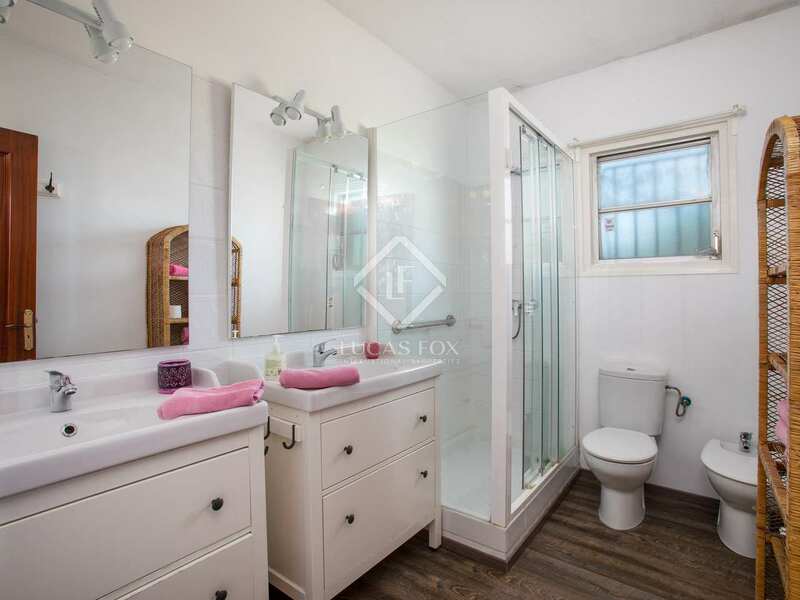 The property also has a laundry area and a garage. 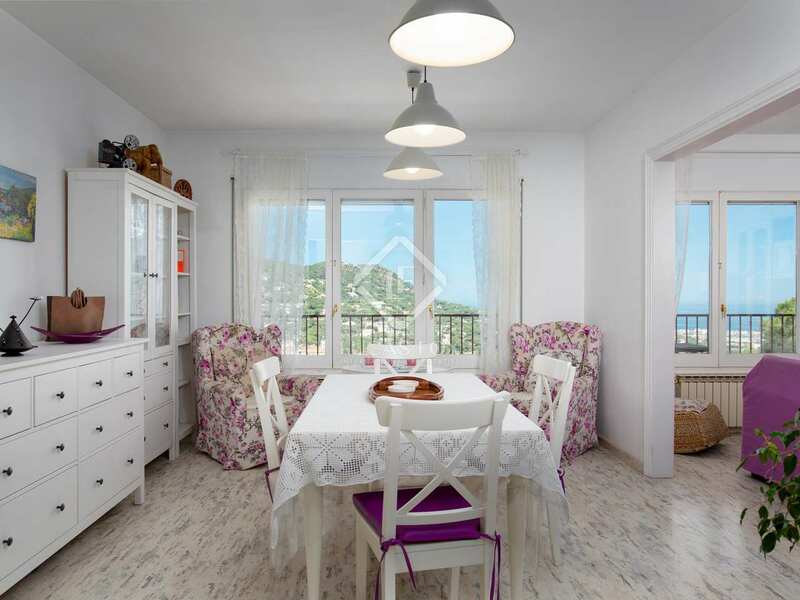 Ideal for anyone looking to enjoy the traditional Mediterranean lifestyle with easy access to the beach and the city. 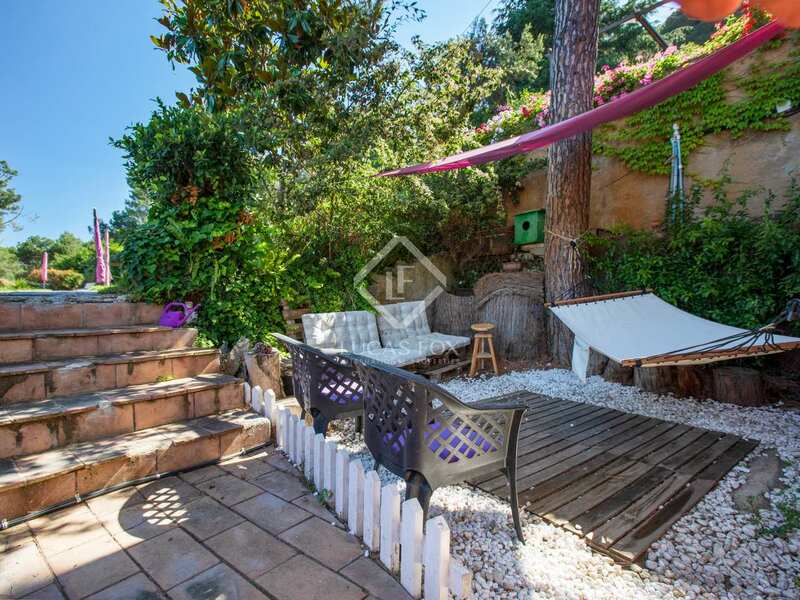 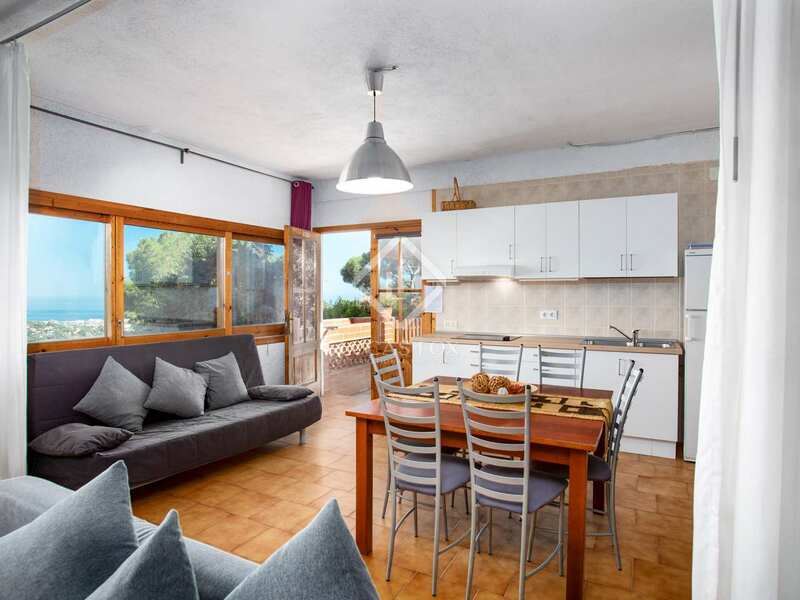 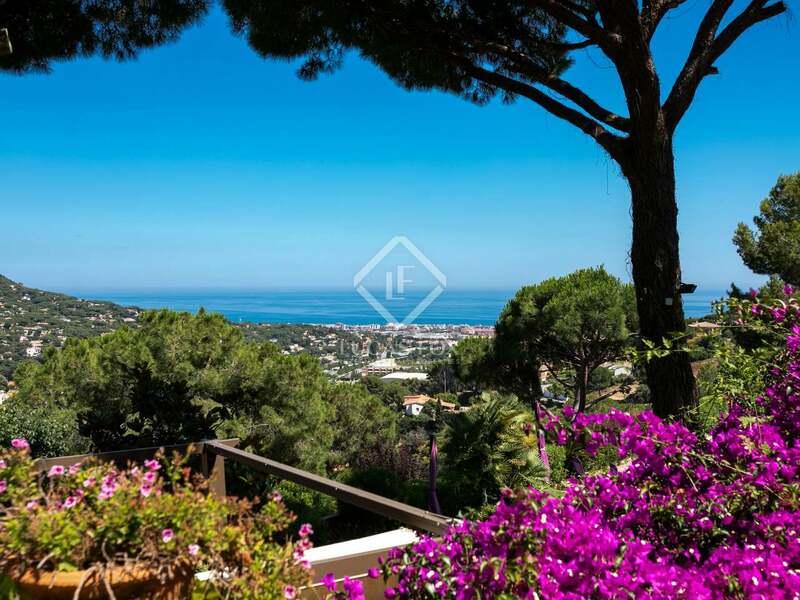 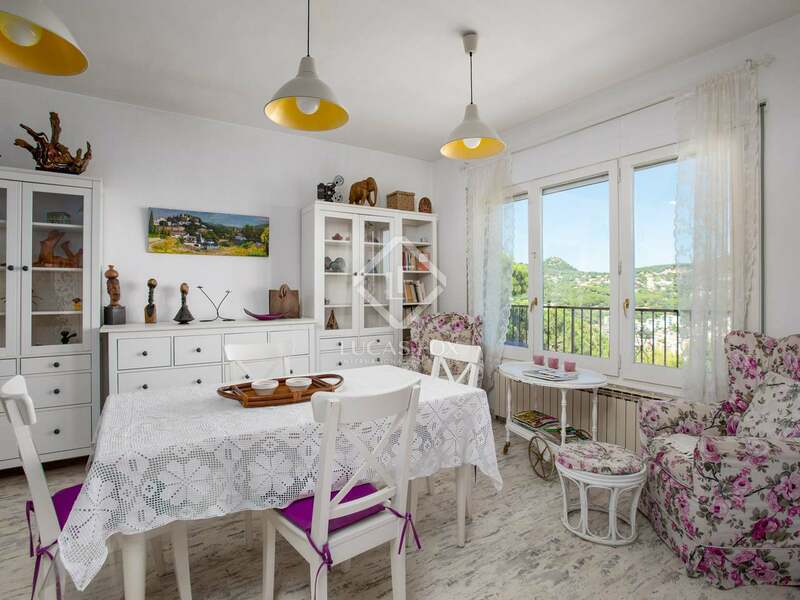 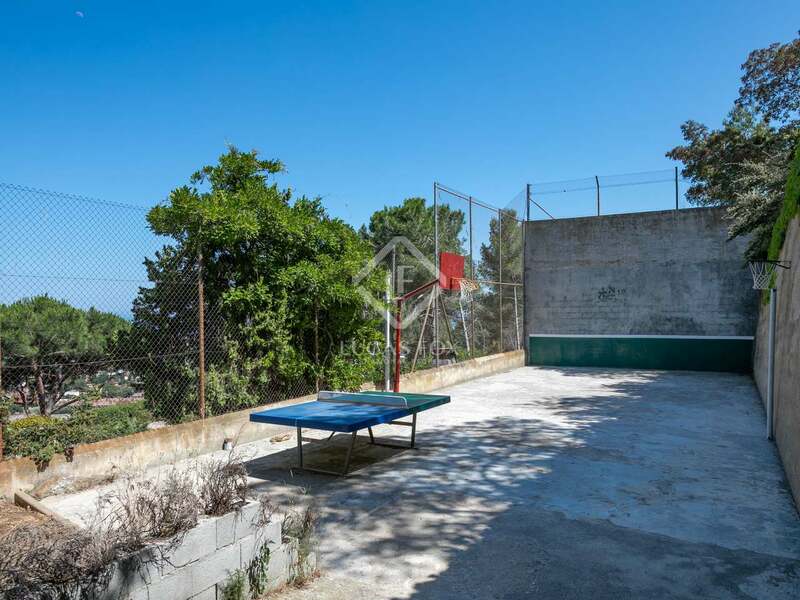 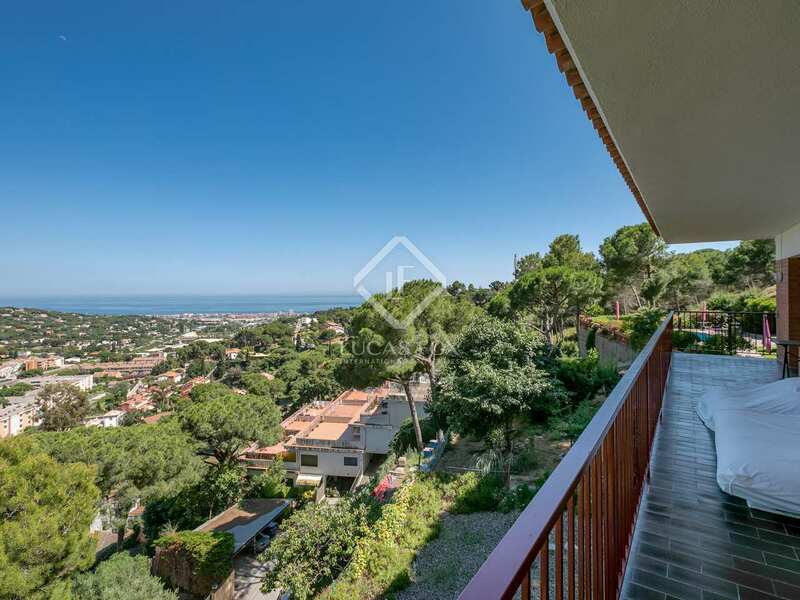 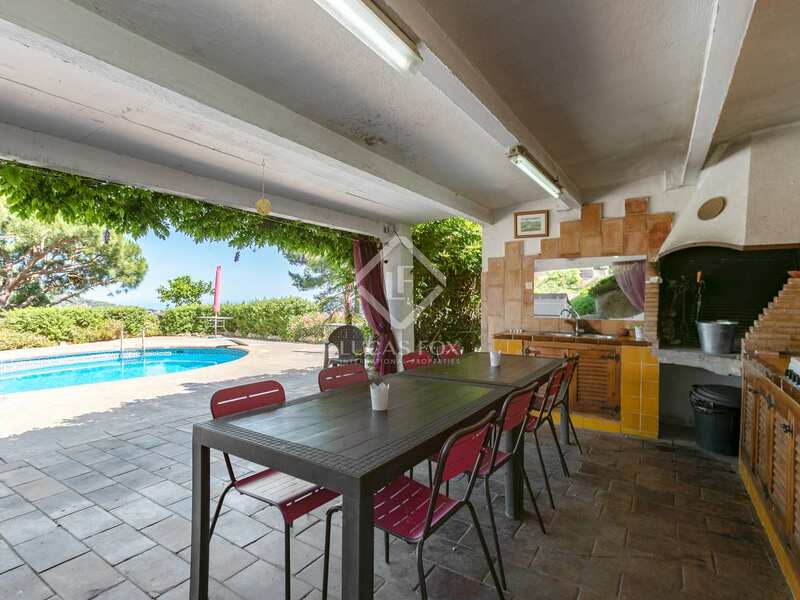 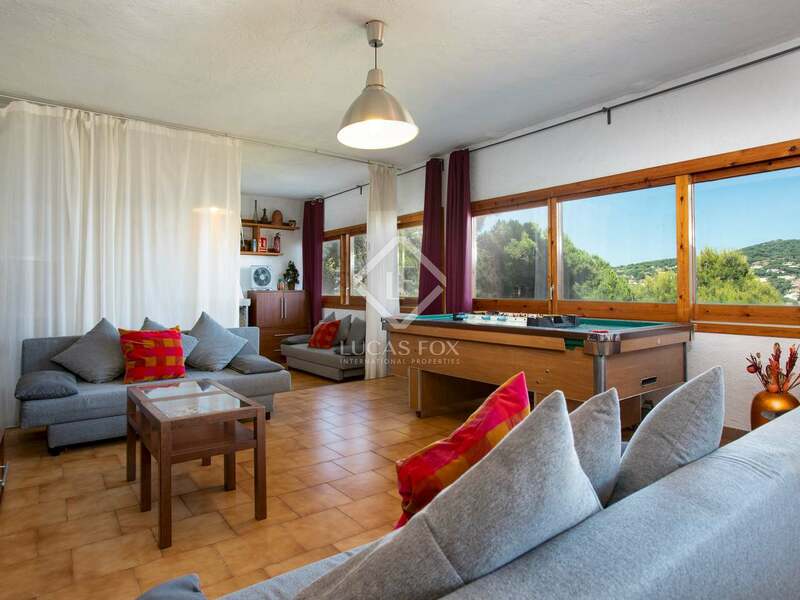 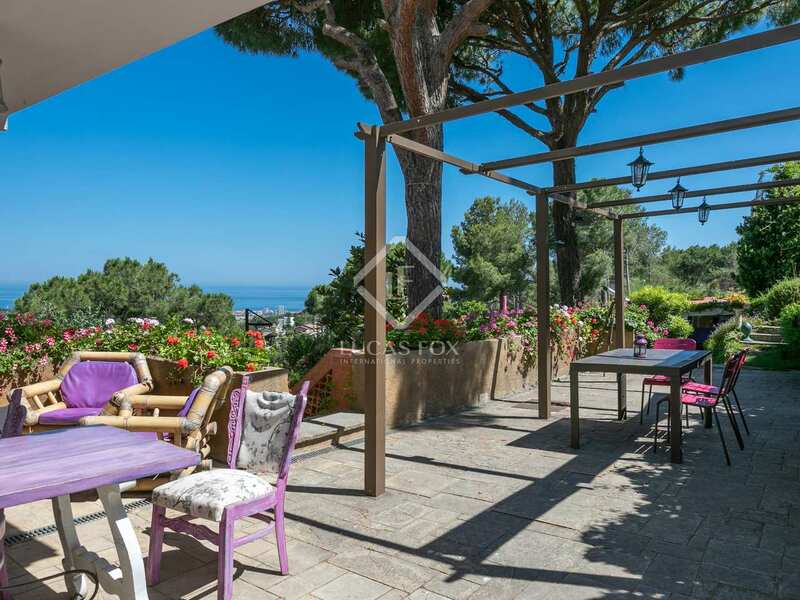 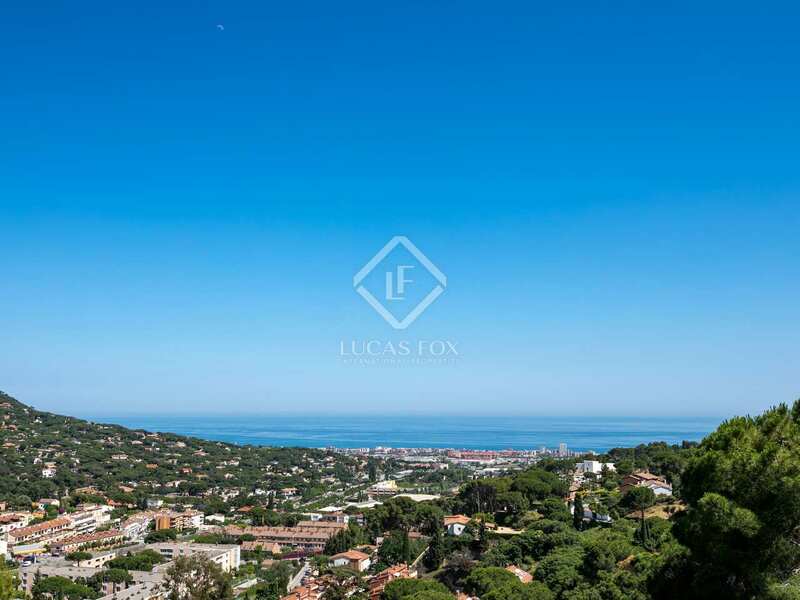 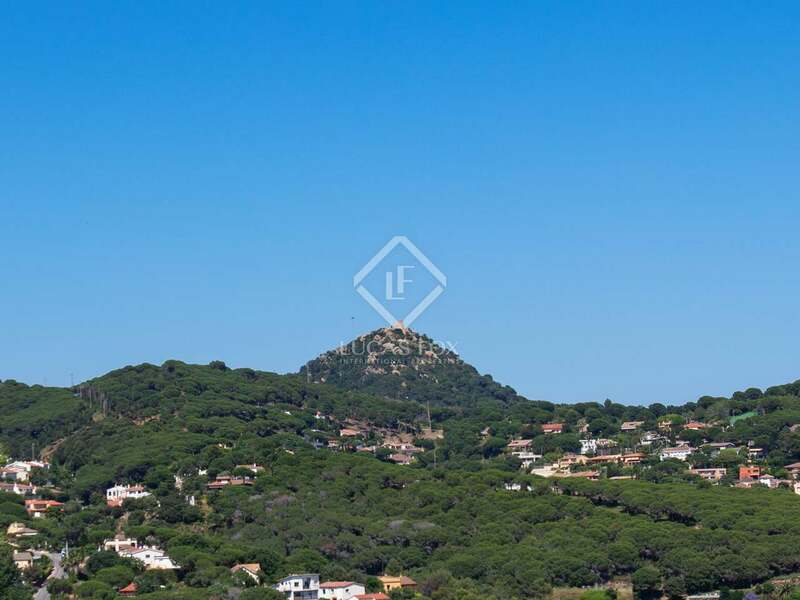 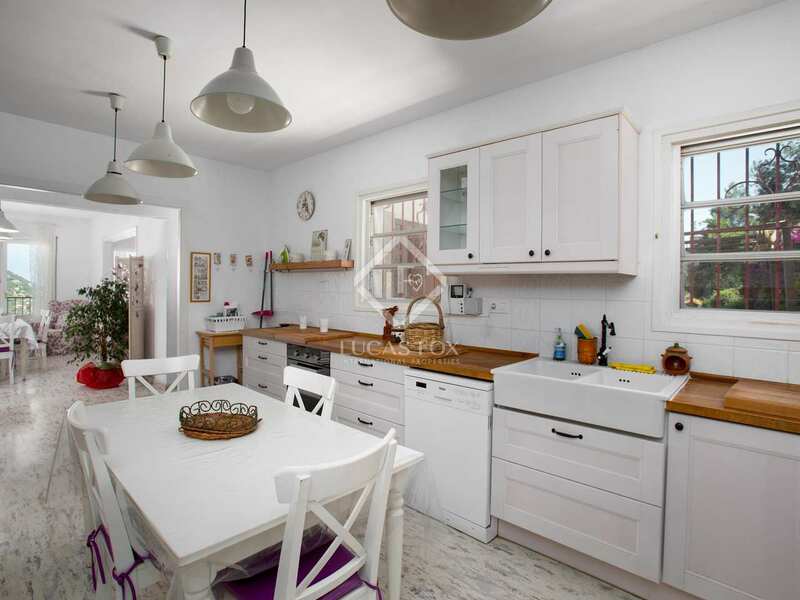 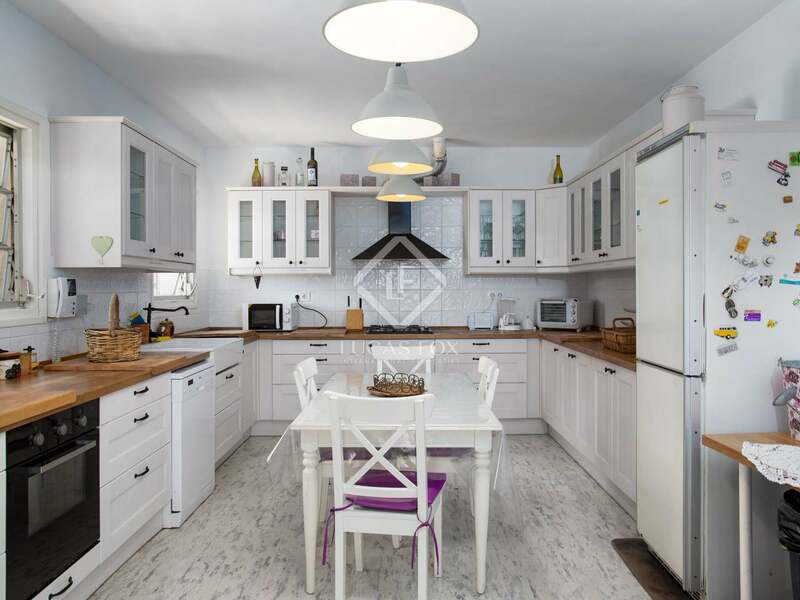 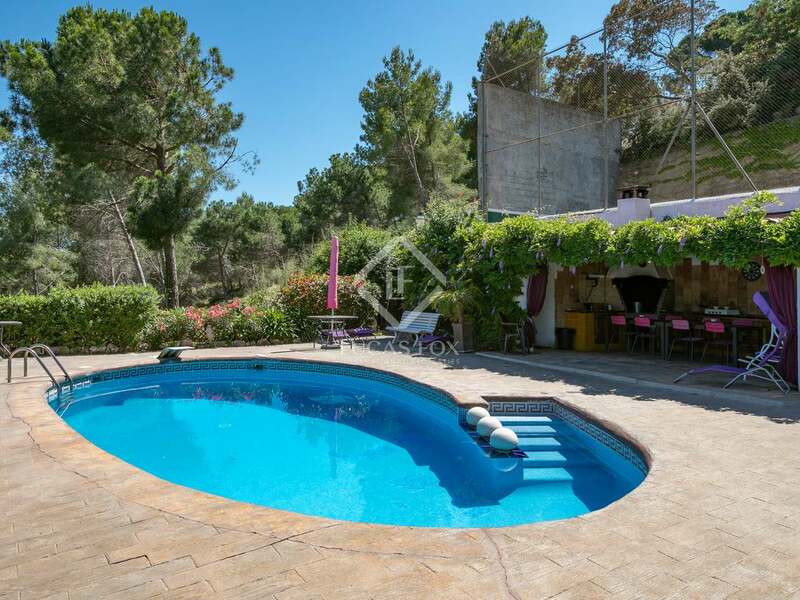 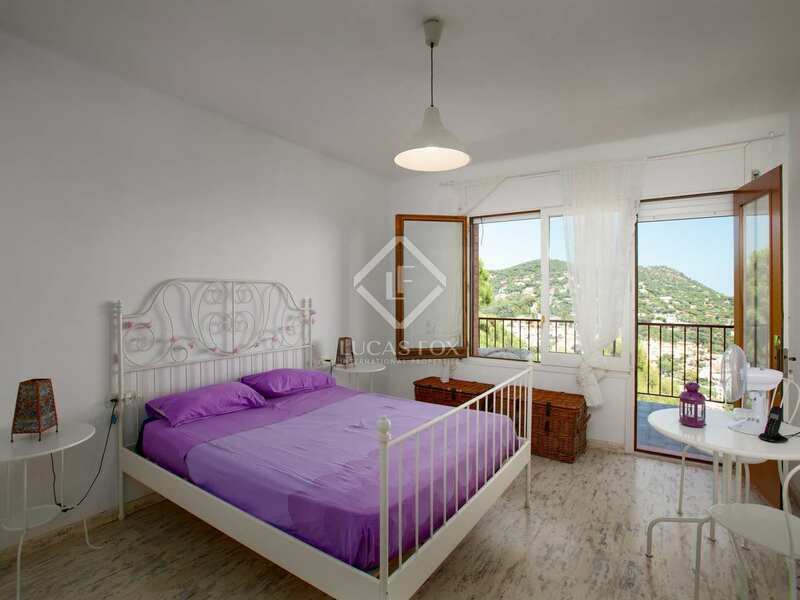 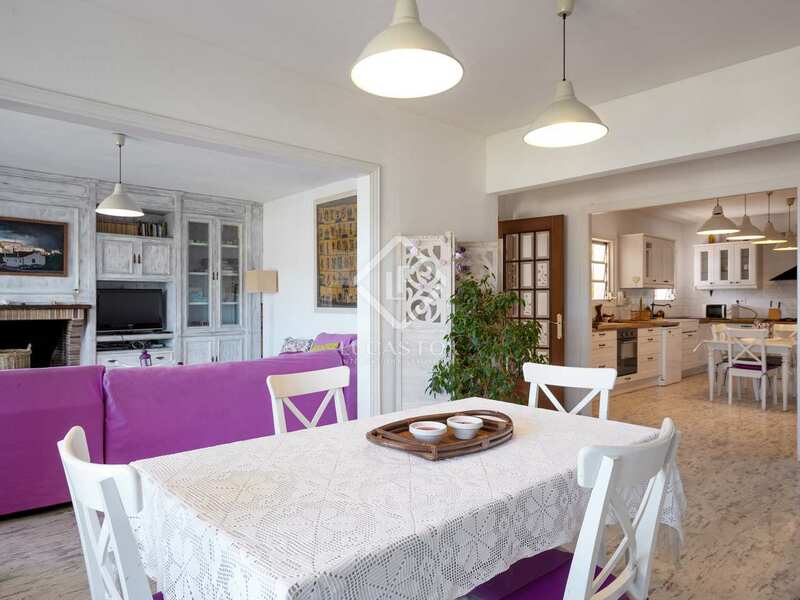 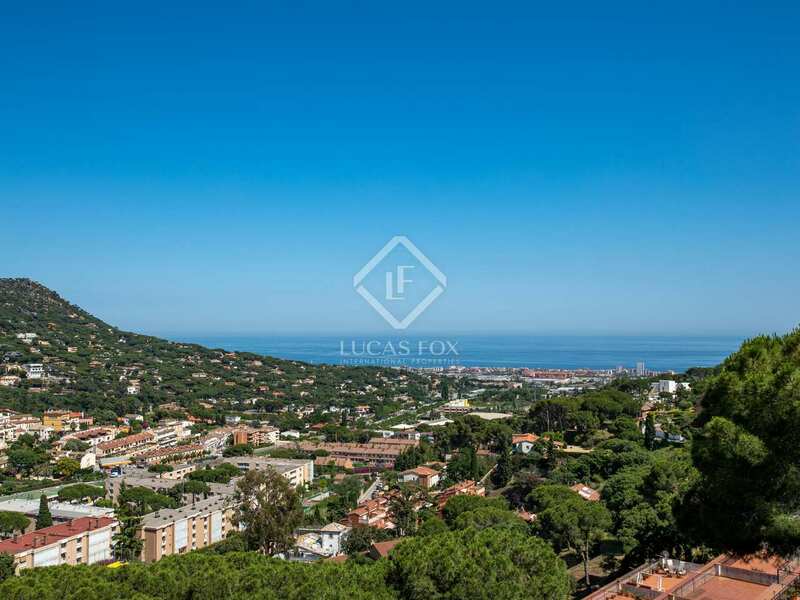 This property is located close to the centre of Cabrils (5 minutes by car), near international schools and just a few minutes by car to the Vilassar de Mar beach and train station. 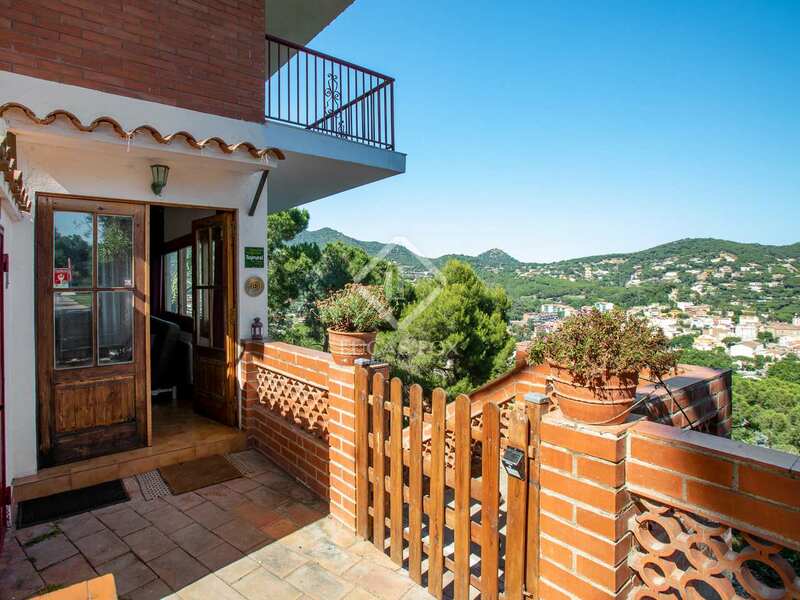 It is a 40-minute drive from Barcelona and 40 minutes from the airport.